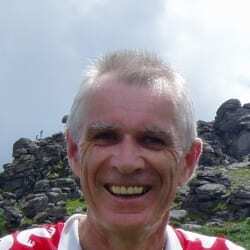 With out half centenary on the horizon, what better time to (re)acquaint ourselves with the club's history, as written by our president Mike Crockett back in 2007. In 1968 a small group of about 6 people met in a house in Leslie Avenue Taunton and decided to form an orienteering club. Some of the group were members of the Red Slab Climbing Club. Among those present were John Pilkington (who died 2013), Dave Livsey now with Devon OC and Keith Vickery who emigrated to Australia and Steve Miller. There is no record of either Keith or Steve in the results of that time and so I assume they were active on the organisational side. Soon after the formation (August 1969) Inspector David Parkin arrived at Taunton and was soon active both in QO and SWOA. During the next two years Barry Bibby and David Brain also joined together with Rosemary and David Roach who came when the Yeovil club disbanded. Gavin Clegg and his brother Neil were also introduced to orienteering and soon became active in club activities. Tim Taylor of Millfield was also a member. 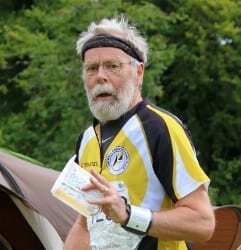 At that time there were several other clubs in Somerset; West Mendip OC, Somerset Orienteering Club ( later to be renamed Yeovil OC), Millfield School OC and Somerset Schools and Youth Orienteering Association. SWOA was also very active and QO members were prominent in it’s activities. Dave Parkin was Chairman and Fixtures Secretary and John Pilkington became Treasurer in 1971. In the early days of QO, meetings were held at members houses with no formal agendas or minutes taken. The first record that we have are the minutes of the AGM 12th January 1971, with four members present, at which David Parkin was elected Chairman and remained in that post for 9 years, and John Pilkington became secretary/treasurer. David had been secretary until then but there is no record of who was the previous chairman (I suspect it was Keith Vickery). Membership fee was set at five shillings (25p). There is some doubt about the club’s first event. A fixture list for 1968 shows a level 4 event scheduled for Great Wood. This event was later down as ‘practice only’. From the records existing for those early days it is difficult to establish which were QO events and which were SWOA events held in the QO area. The names Virgo (Devon's Chris), Peckett (SWOA's Eric), Foot and Vince (Kerno's Arthur), all members of Devonshire clubs appear quite frequently in the organising teams, as do some from further afield, one being Robin Harvey who controlled an event at Neroche, which I gather was not entirely satisfactory. The same fixture list shows 4 events scheduled for 1969; Ham Hill with YOC, Holnicote Estate, Butleigh Woods and Croydon Hill, three of which we still use. At the 1972 AGM those present included R & D Roach, G & N Clegg and Barry Bibby (who left a couple of years later to join Derwent Valley Orienteers and is still a member of that club). These newcomers joined an already active group and great strides were made with mapping and event organisation. The younger ones quickly achieved international recognition in addition to their activities within the club. A letter from Ian Keith to the editor of SINS in Jan 1973 entitled “Two Likely Lads” praises Gavin and Neil for their event at Wind Down …..they carried out the major part of the organisation including the drawing of the three colour map. The map is worthy of special comment being clear and accurate, particularly in its indication of “go-ability in a difficult area. QO, as winners of the Byfoot Trophy three years in succession had in fact won it outright, but redonated it. It is now the trophy for the Devon relays and through out the years QO has continued to perform, winning it more times than any other South West club. QO also showed well in the club championships (a league based on every members run over the season) coming second to BOK several times. Their names also appeared at the top of the Galoppen table or Gallops as they were sometimes called. By 1974 cash in hand was £22 and the fees remained at 30p due to the healthy state of finances. Events had been held at Neroche(2) including the SW Championship, Wind Down (2), Lydeard Hill and a badge at Kingscliff. Cothelstone and Great Wood had been mapped, the latter in preparation for the SW champs. Two issues of a newsletter had been produced but collapsed through lack of support. At the next AGM there were 20 members present. Between 1977 and 1980 the club was in a state of flux. It had had four secretaries in as many years and relatively few events. Membership had fallen to19. However in spite of this a Permanent Course, which had previously been the responsibility of the WMOC was re- established at Worlebury, Weston-super-Mare and discussions were underway for one at Staple Hill with a grant of £50.00 from Taunton Tuesday Club. This was opened in 1982 and continued in use until 1992 when it was closed for forestry work. The Worlebury PC was later handed over to BOK. The low membership was not at the expense of quality and they continued to do well in the Galoppens and had two juniors at international level. 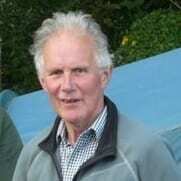 In 1985 Dave Gibson arrived as warden of Great Wood Camp. Dave started a series of CATIs which resulted in an increase in membership to 35. Dave also became development and school’s liaison officer. This revival in fortunes continued and orienteering as a whole took on a more formal basis, so much so that at the 1988 AGM the secretary proposed that the club needed an elected committee to handle things. The newsletter was also revived and has continued in one form or another to the present day. At this time QO continued to play its part in the South West, hosting Avon Schools’ events and Compass Sport matches although not always able to field a team themselves. Also in 1989, the JK warm-up event at Gare Hill was organised by QO. During the nineties QO had many successes. They won through to the Compass Sport Cup final twice and won the Byfoot Trophy and Devon relays several times. 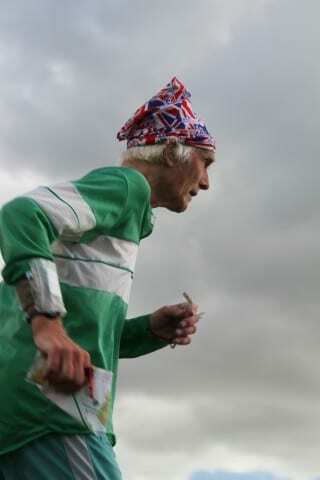 In the senior relay competitions they won JK and British several times and once had the dubious distinction of explaining to the Duke of Devonshire that he couldn’t present the trophy as they had forgotten to return it. During this period five members represented their country at international level. The club membership gradually increased to 84 in 2000 and has remained fairly constant since then. In 1998 the club adopted a constitution in line with most other clubs in the area. QO also organised a series of small events each year, originally called CATIs. 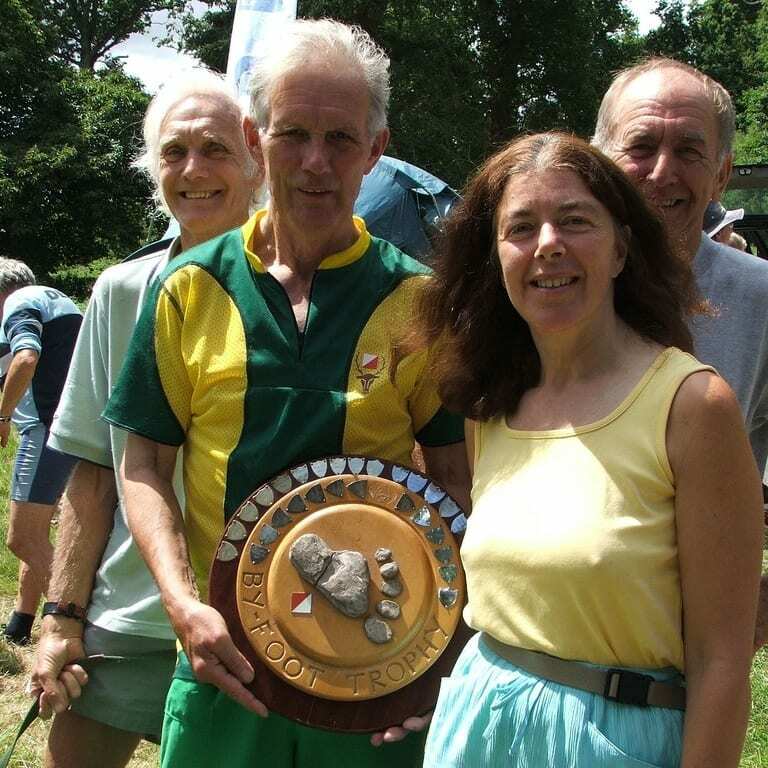 In 1995 they became known as QOFLs (Quantock Orienteers Forest League) and are still vigorously contested each year. Another addition to the QO fixture list was the Long O first run in 1997 and continuing until this day. Also in 1998 the revamped Staple Hill Permanent Course was nearing completion, but it was a considerable time and many man hours of negotiation before it was finally relaunched. Other notable event was the purchase in 2003 of the Joe Lee Electronic Punching system, which has brought electronic punching at a reasonable price to our competitors. In 2004 a Permanent Course was opened at Ninesprings Yeovil. In 2007 the club continues to flourish despite environmental constraints which in some areas are quite severe. There is at present a schools initiative which will hopefully bring more young members into the club. Relays are still a speciality. They won the Devon Relays in 2006 and despite being beaten in Devon were successful in the SWOA Chairman’s Relay series in 2007. 1. Orienteers are like squirrels. They run around in the woods and hoard things. I myself was digging around in various documents not quite remembering where that little nut was hidden. 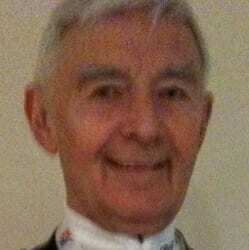 Bill Vigar was in the forefront when it came to CAD for mapping. I think we were the first club to introduce premarked maps for galoppens. The QO chairman in 1984 at the AGM warned of the danger of professionalism creeping in. The terrain hasn’t changed much either. QO’s areas are just as steep as ever (and the planners just as masochistic), as this quote from the 1969 badge event at Neroche shows. Apologies to Stanley Holloway- “King ‘arold came up as they landed, ‘is face full of venom and ‘ate …” it had nothing to the look on Dave Gittus’ face at the finish and he was the winner. At the same event a group of apprentices were unconcerned about their leader, who, to quote them, was a good navigator and very fit. He was out for 5hours and 55 mins. The methods of assessing of course lengths has been debated over the years, but I think Eric Clegg’s comments from the 1974 galoppen are worthy of note. “When Gavin suggested I should plan the event, I thought he was joking. When it became apparent he was serious I knew I had some work to do. Conscientiously, I read the BOF instructions for course planning, several books on orienteering and the Chris Brasher article on Erik Peckett’s formula, to understand which I had to read again Lancelot Hogben’s Mathematics for the Millions, by which time I was fully prepared. My thanks to all those who racked their memories and storerooms for information to help with this, John Pilkington, Dave Parkin, Rosemary Roach, Barry Bibby, Arthur Vince, Dave Livsey, and of course the “Likely Lads” Gavin Clegg and his brother Neil.